I'm excited to share pictures of our Paris vacation with you! I'm going to break up the pictures into three different posts that I will share this week. The photos I'm sharing are just a glimpse of all that we saw; I'm trying to keep these posts somewhat brief:) If you have any questions about what we did or the logistics of our trip, leave a comment and I'll be sure to answer. I might even do a follow-up post on some tips + how I planned our trip. I arrived in Paris Friday morning, but Caleb didn't get there until late that night, so Saturday was our first full day there together. 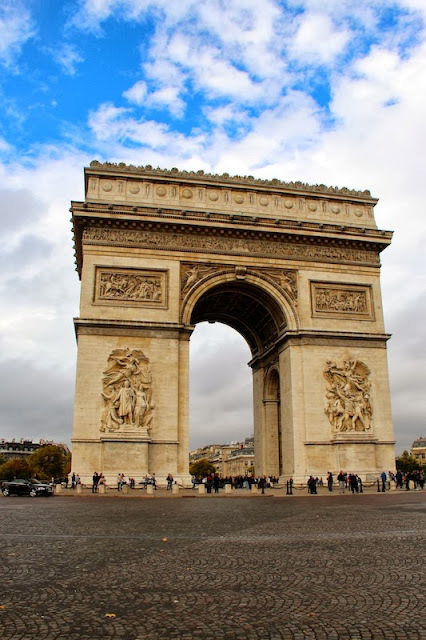 We hopped on the metro first thing and rode over to the Arc de Triomphe. We climbed all of the steps to get to the top for a beautiful view of Paris. We then strolled down the Champs-Élysées with a stop in Ladurée for a mid-morning snack of macarons. After crossing Pont Alexandre III, we headed for a late lunch and the Eiffel Tower. (fun fact: a pigeon pooped on Caleb on the way to the Eiffel Tower - hah!) I LOVED seeing the Eiffel Tower. It's the icon of Paris and it made me feel like wow I'm really here! We didn't go up it because I'm afraid of heights + elevators and also the line was 4-5 hours long (no thanks!). We spent a good part of the rest of the afternoon sitting in the Champ de Mars, and then we walked across the Seine to the Jardins du Trocadéro for a different view of the Eiffel Tower. After we checked into our second hotel, we found a restaurant nearby and had a late dinner. 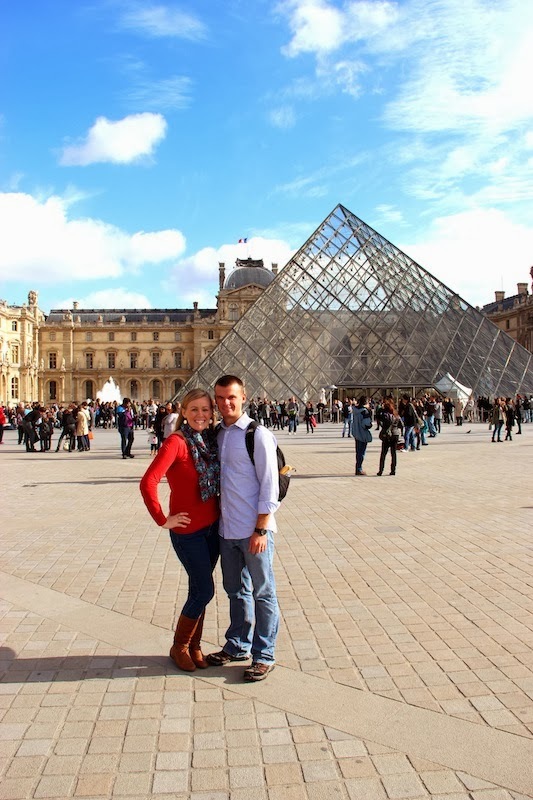 On Sunday we spent most of the day at the Louvre. Art history was one of my favorite classes that I took in college, so I loved seeing so many of the works I had studied. Caleb was a little less enthused with all of that art, but was very gracious to allow us to be there for so many hours! It was pretty overwhelming as there was SO much to see, but we did see a good majority of the museum. 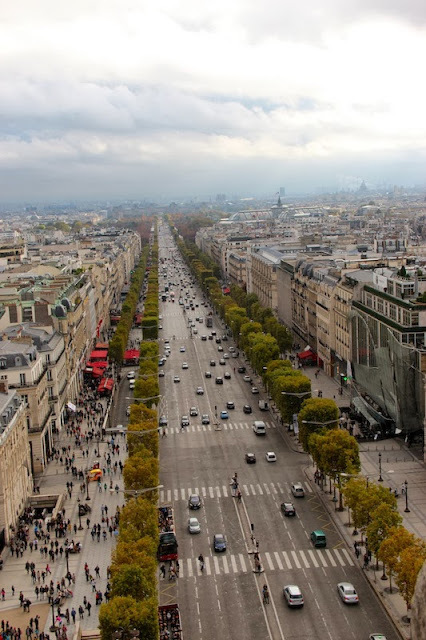 After we finished in the museum, we strolled around the Jardin des Tuileries, saw the Place de la Concorde (the site of the guillotine during the French Revolution), the Place Vendôme, and the Opéra Garnier. We walked SO much that day and were really tired by the time we had a late dinner and settled into our hotel. Looks like so much fun! I love all your pictures and can't wait to see more! PS you and Caleb are so stinkin' cute together! Beautiful pictures! Can't wait to hear more about your trip! Sounds like you all had a wonderful time AND got great weather! Looks like you had perfect weather while you were there...so happy you were able to experience Paris! Wow such great photos! 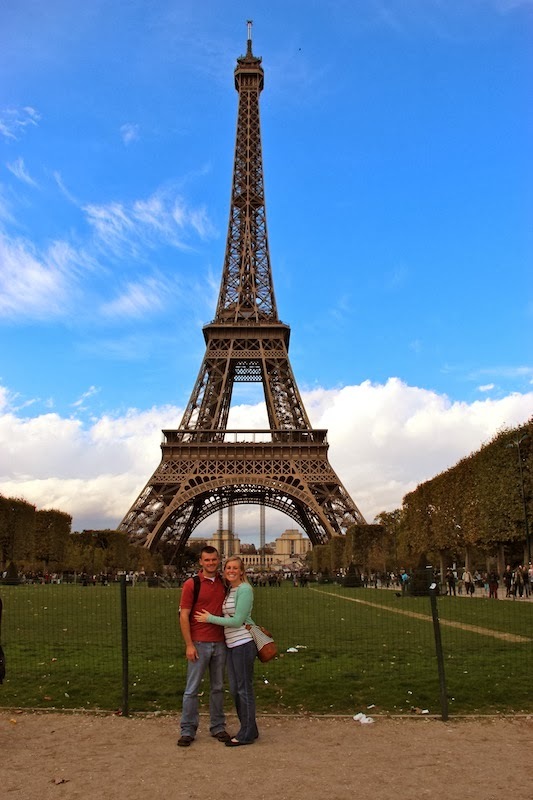 I'm so glad you loved Paris! I think I have a photo of myself on that same exact bridge with the Eiffel Tower in the background. Even though I've already been there I would so love to go back and eat my way through the city again! It really is just such a unique place. Ahhh so exciting!! I was waiting for this post :) Can't wait to see the rest of the pictures and hear more about your trip. You should def do a post about how to plan for the trip and what all you did! You look so cute, by the way! Beautiful beautiful! Looks like an amazing time! Great pictures, thanks so much for sharing them! 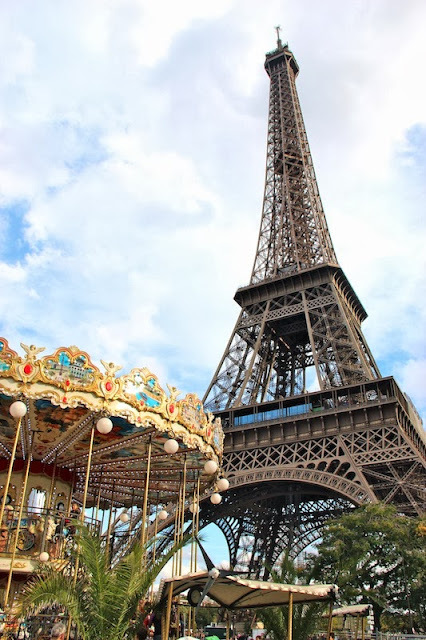 I have been helping my family look for some Paris vacation rentals and was wondering what were some of your favorite things to do there? I have always wanted to visit Paris and see the city for myself, so I am glad that I am able to finally afford everything I need for the trip. you guys are so cute. love your outfit with the red top and scarf!